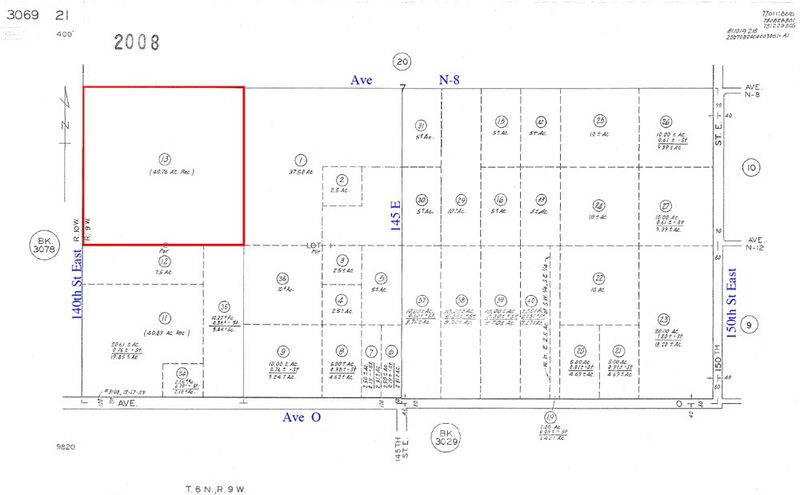 Square 40+ acre parcel at the SE corner of 140th St East & Ave N-8. Less than one mile west of the bedroom community of Lake Los Angeles and 10 miles east of Palmdale. 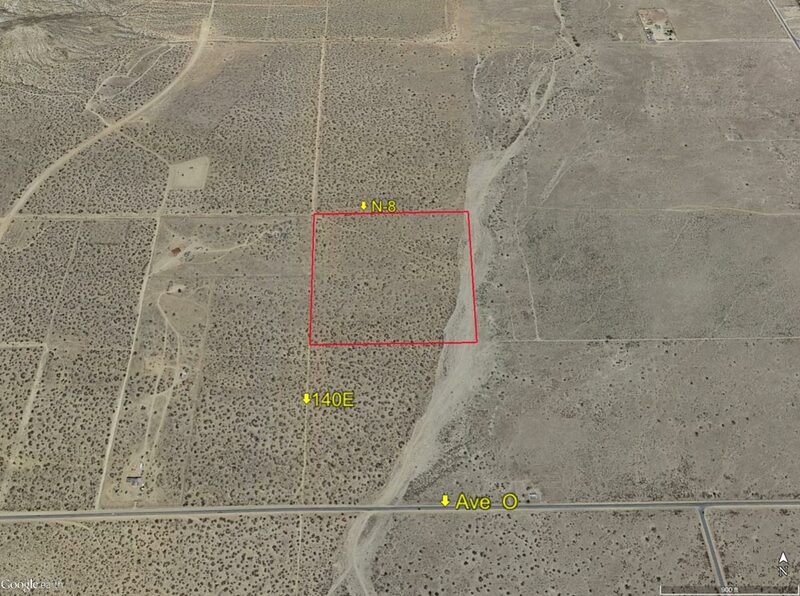 Paved Ave O brings you to within 1/4 mile of the property’s SW corner. No utilities to parcel, but elec is on Ave O. Parcel is zoned A 2 2 by Los Angeles County which does allow for commercial solar farms. 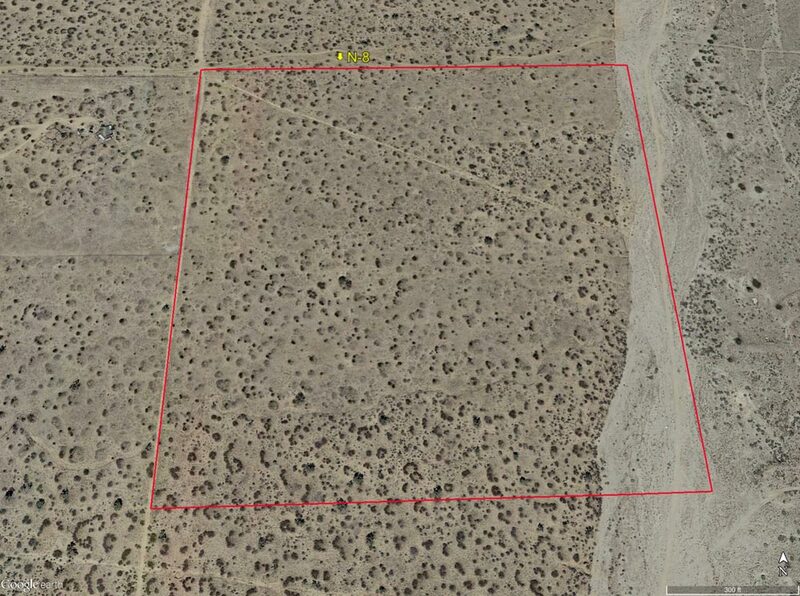 Eastern border of property is hindered by dry wash, but not significantly. All cash. From central Palmdale, east on Palmdale Blvd to 50th St East. Take the rotary due east to stay on Palmdale Blvd. Continue on Palmdale Blvd to 110th St East. At 110E, turn left (north) and go 2.5 miles to Ave O. At Ave O, turn right (east) and go 3 miles to 140E (dirt). At 140E turn left (north) and go 1/4 mile. Stop. You are now at the SW corner of subject property.